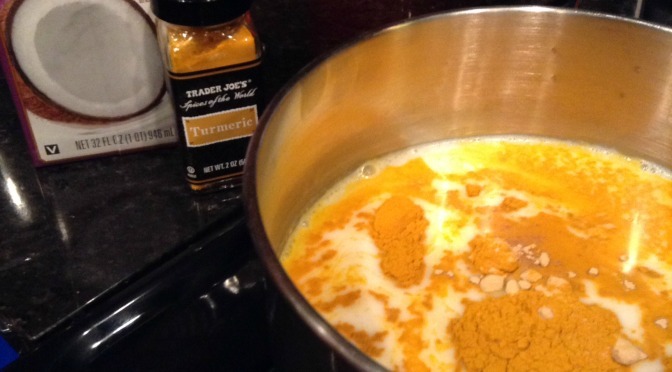 Turmeric is a wonderful natural anti-inflammatory ingredient that can easily be added to a variety of recipes. 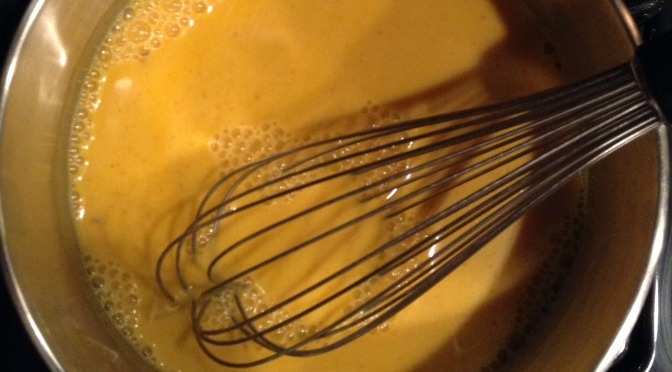 Recently, we shared one of our favorites, “Golden Milk”. 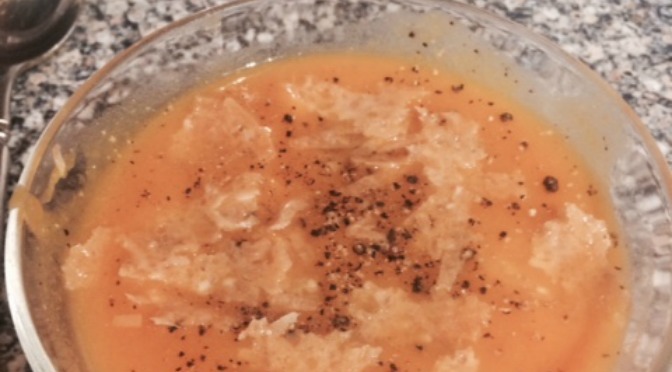 This soup, served with the easy-to-make parmesan crackers, is a another great way to incorporate the golden spice into your everyday diet. Sautee the onions in the oil until soft. Add the other vegetables, spices and broth. Bring to a boil, then lower the temperature and simmer until all veggies are soft. Puree most of the veggies to make a cream-style soup. Mound level tablespoonfuls of cheese about 2 inches apart on the baking sheet. Bake until the cheese is melted, soft and a very light golden color, about 6 minutes. Remove from the oven and allow to cool completely for about 20 minutes. Lift the crackers off the baking sheet using a thin spatula. As we enter the holiday season “full on” as my kids would say, we can become overwhelmed by the many tasks that come with this time of year: extra work, shopping, decorating, cooking, cleaning and stressing about all types of “problems”. The time and energy crunch tempts us to neglect our own wellbeing now with a promise to do better next year. I am inviting all of you to join me today, not in 2015, to find easier ways to stay on the path towards improving wellness. Whether your challenge is dealing with chronic pain, improving your diet, exercising regularly, or reducing excess stress, I believe that it is easier maintain consistency (or even just make a plan) NOW, rather than procrastinate or lose control. The increased energy and confidence that comes from taking positive steps is worth the effort. We can often sabotage our goals by trying to be “perfect” from the outset. Set yourself up for success by just doing a little everyday toward what you want to achieve. The challenge to reaching what we want is to stay on track. It’s easier than you think. If you don’t know where to start, ask someone whose healthy habits you admire. It’s my experience that people are happy to share their “health secrets” with other who are trying to improve themselves. Here’s to a happy and stress-free holiday season for all! I’ve been reading a lot about the inflammation fighting power of Turmeric lately. 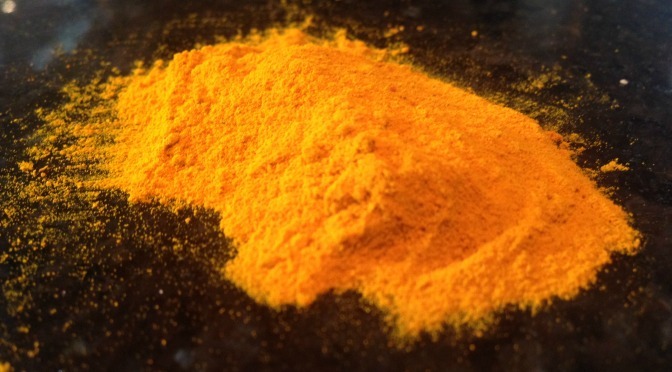 Turmeric is the special ingredient in your curry that makes it yellow. It turns out that it is also a potent natural anti-inflammatory as well. 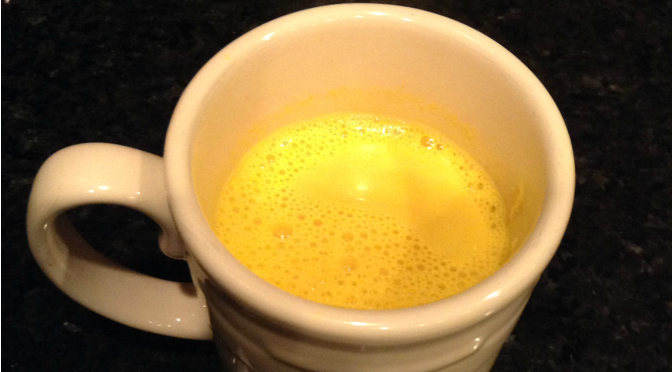 There are quite a few ways to take advantage of the power of Turmeric, but the tastiest is probably a drink known as “Golden Milk”. 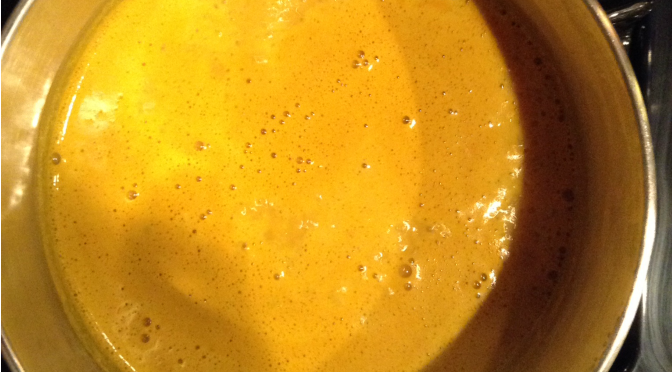 Made many different ways golden milk is a great way to not only include turmeric in your diet, but when taken at night it is an excellent promoter of sleep. While you can use a blend of coconut and almond mil in the drink, I used coconut milk alone mostly because that was what was readily available in my pantry! The addition of black pepper can enhance the anti-inflammatory abilities of Turmeric as well, although I didn’t choose to add it in this time. I also used a powdered ginger, but fresh sliced ginger would have made a better addition if strained out prior to drinking. Not a fan a coconut milk? Use water and make a tea! Announcing that John Casciato is no longer associated with Power of Touch Wellness. We wish him luck in his future business endeavors. Look for information about our new therapists, coming soon. I am pleased to introduce a new technique here at Power of Touch Wellness: Massage Cupping. Clients often describe the sensation of the cupping technique as a warm and “tingling” feeling, often lasting long after the session is complete. The therapy itself is so relaxing that I often find patients drifting off to sleep on the table! Massage Cupping complements all of our other treatments, from Pain Therapy to AromaTouch. It is quickly becoming one of my “go-to” therapies because of the positive, relaxing effect it has on the nervous system. When the nervous system is calm, the rest of the body will follow suit. Tight hamstrings, sore necks and backs and resistant, long-term issues readily give way after cupping. 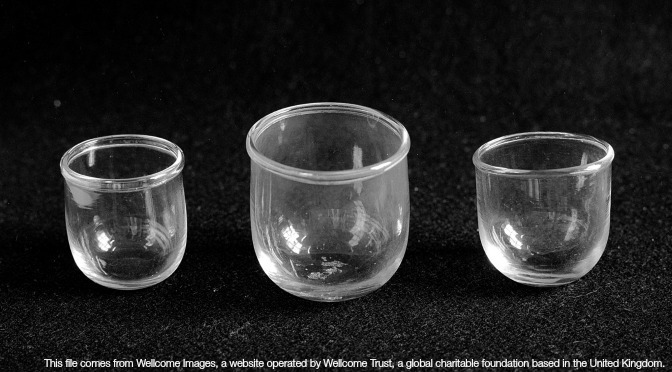 For those who have seen the celebrities showing off their cupping marks a/k/a “cup kisses,” have no fear—cupping does not always leave marks, and specific techniques can be used to avoid them altogether. Also, these marks are evidence of healing, not pain or trauma. For more information or to schedule an appointment with us, please contact me today! I deal with pain every day, but not usually my own. As a “pain therapist” I am well educated in solving the pain and discomfort that others are dealing with, yet a few days ago I found myself confronting excruciating, pounding pain in the left side of my jaw, neck, eye, shoulder and upper back. The experience provided me with new insights and ideas that I’d like to share. When the pain took hold, nothing else seemed to matter. I was transformed from active and upbeat to grouchy and self-centered. My focus was how much it hurt and I was desperate to get relief. So, I went to work on the muscles that I thought were causing the pain, using some of the self-treatment techniques that I teach to others. Although I knew that the problem originated from a night of grinding my teeth, I allowed myself to become distracted by the pain itself and skipped over the fact that the underlying cause was stress. Needless to say, while the self-treatment alleviated some of the pain, it stubbornly rebounded because I was still stressed out. The first real relief came unexpectedly. My dog insisted on a walk, so I conceded. It was a beautiful, sunny day, and every few minutes she threw herself down in the grass and rolled around on her back like Snoopy. Her joy was infectious; I found myself smiling, and taking pictures of her to post on Facebook. After a while I realized that the head pain, which registered a “15” on a scale of 1-10, had dropped to a “5”! The pain therapist inside started waking up again with the realization that it wasn’t enough to just treat the muscles; distracting my nervous system by getting out of my head was critical to relieving my symptoms. It was both an “Aha!” and a “Duh!” moment, since these are concepts that I know and talk about to my clients on a regular basis. The next significant relief occurred when I finally took a long Epsom Salt bath—another bit of advice I share with clients ALL THE TIME. Why it took me until evening I don’t know, but that was the beginning of the end of my pain. 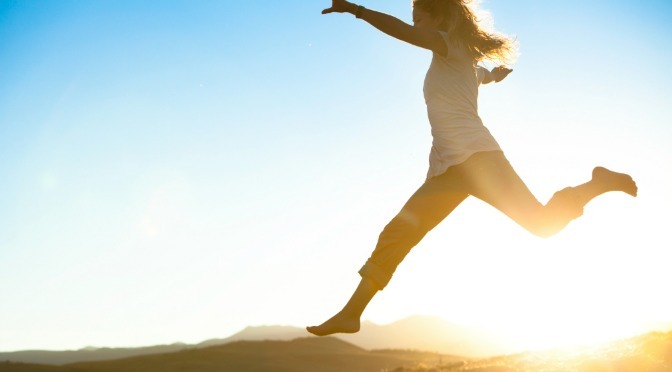 The lingering muscle tightness loosened, and I returned to the self-treatment methods that proved to be more effective at finishing off the lingering pain now that I had confronted the root cause of the problem: my stress! For more information on how an Epsom Salt bath can ease pain and relieve stress, check out this article from Mind Body Green. What did I take from this experience? Well, when pain strikes, it’s a lot like hearing shocking news; the only thing you can focus on is the immediate effect on you. The more severe the pain, the less ability we seem to have to reason and think clearly. Having personally experienced this confirms that having a plan of action to follow will lead to a faster solution. Assuming that your pain is stress-induced and/or muscular, the following steps could help ease the pain. Take an Epsom Salt bath- the magnesium contained in Epsom salts helps relax muscles and nerves. Essential oils, like Lavender, can enhance the experience. Two cups of salts in a full tub provide the best results. Distract yourself- It sometimes seems easier said than done, but talking to a friend, meditating, doing gentle yoga, watching a funny show or taking a walk can give you a sense of normality and liberate you from negative thoughts and feelings. Learn techniques and movements to counteract common muscular pain. As part of our treatment protocols, we teach our clients simple self-treatment methods and movements to help handle many of their own pain problems. In addition, yoga (guided by a skilled practitioner) is one of our favorites to help avoid or disable pain. Make an appointment with a qualified therapist to more permanently address the soft tissue aspects of your pain. A gentle, targeted approach settles down the nerves and releases muscular tension to quickly relieve pain and some of its underlying causes. Disclaimer: The information contained on this site is not intended to be a substitute for professional medical advice. If you are suffering from pain or another injury, seek the advice of your personal physician. For thousands of years people have used essential oils (concentrated oils taken from the roots, leaves and stems of plants) to receive the benefits of their unique active ingredients. As aromatic oils have gained greater acceptance-even among many doctors and scientists— more people are looking to essential oils to help improve their overall health naturally. During the session, eight specific oils are applied in a sequence to contact points on the back and feet using simple, massage-like techniques. The end-result is a powerful wellness experience. Although AromaTouch® is intended to be a clinical application, the essential oils and massage strokes make it feel like a spa treatment! After seeing the positive effects of essential oils in my practice generally, I decided to obtain more formal training and certification in this technique. I believe that the AromaTouch® Technique has positive effects on the nervous system, and may help improve overall health for many as well. If you would like schedule an appointment, or learn more about essential oils, please contact me. For more information on the technique itself, you can visit the AromaTouch® website. Announcing our Latest Treatment Tool – The Biomat! Here at Power of Touch Wellness we are always looking for ways to help people get out of pain faster. Our newest, state-of-the art healing tool – the Amethyst Biomat – will enhance our existing therapies and provide additional cost-effective options for our clients. The Biomat is an FDA approved medical device that is designed to help the body heal itself naturally. It combines three components: Far Infrared Light, Negative Ions and Amethyst crystal, which together deliver a soothing and powerful healing heat deep into the body’s tissues. The Biomat helps regulate the body’s immune, endocrine, lymphatic and nervous systems, leading to a wealth of health benefits, including relief from muscle and joint pain, improved sleep, reduction of stress, increased energy, and improved cardiovascular health. Its Far Infrared Rays (FIR) deliver heat 6-8 inches into the body, reaching soft tissue, nerves, blood vessels and even organs. As the body’s peripheral blood vessels dilate, circulation increases, carrying away cellular waste products and delivering oxygen and nutrients where they are most needed. Far Infrared Heat therapy has been proven effective in the treatment of sprains, muscle spasms, arthritis, neuralgia, stiffness and other pain-producing musculoskeletal conditions. People suffering from Fibromyalgia and chronic pain have also reported improvement in their symptoms. The benefits are not limited to pain relief. The gentle warmth of the Biomat’s rays, together with its negative ion technology, reduce stress and increase energy. There are many ways to experience the benefits of the Biomat. It can be added to a regular therapy session to “supercharge” treatment. The effect it has on circulation alone, not to mention the effects on the nervous system, seems to cut treatment time dramatically, allowing more treatment in a normal 60 minute session. This may lead to faster pain relief in a shorter period of time for many people. The Biomat may also be used as a stand-alone treatment. Simply resting on the Biomat can bring great health benefits. In addition, clients may perform many of their self-care movements on the mat for even greater results. Whether you are a new or existing client, the Biomat can benefit you tremendously! Plus, during the month of September, when you schedule a regular appointment, the Biomat is included in your session free of charge. This is a a savings of $25! Contact me today to schedule your appointment at either our Forest Hills or NEW Shadyside location, and experience the results for yourself! One of the main reasons clients come to see me is because they are suffering from some type of pain, and that pain has persisted beyond the threshold of “normal”. Many have been through a myriad of tests, procedures and examinations; both invasive and non-invasive. They have often been prescribed medications that have had minimal or no effect. They are told that there is no objective evidence for the cause of their pain, or that they will “just have to live with it”. Many are rubber stamped with a “Syndrome”, or even worse, made to feel like they should not be suffering any pain at all and are left with nowhere to turn or find support. To address the issue of pain, and to learn more about it, we are embarking on this web-series. Throughout the next several months, we will explore the causes of pain, and how your brain plays a key role in what your body is feeling. Why is it that some people feel extreme pain in the absence of any “objective” evidence to explain it? Conversely, why do others feel no pain, despite serious injury or disease? If you have ever been asked by a medical professional to describe your pain, do you often feel at a loss? Although many theories about the origins of pain have been put forward through the years, many have been proven false, or incomplete. As we learn about the nervous system and the complex workings of the brain, our understanding will become more defined. However, I do feel that current theories do offer many answers. Consider what happens when your hand barely touches a burner, or your toe dips into a very hot bath. Almost before you register the pain, your body reacts, and you quickly jerk away from the source. According to the “gate-control theory” of pain, specialized nerve cells in the spinal cord act as “gatekeepers” to filter pain messages on their way to your brain. When more pain receptors are stimulated than normal receptors, the gate opens so pain messages can get to your brain fast, prompting a response: “move away from the stove!”. On the other hand, if no input is received in the spinal cord, or if the balance does not tip in favor of the pain receptors, the gate remains closed and the message does not move on to the brain. This theory also seems to explain how pain is reduced through touch. We often rub an area that has recently suffered an acute injury, and experience a lessening of pain. This is effective because the action of rubbing actually stimulates more “normal” receptors, therefore inhibiting the pain receptors and closing the gateway. This is the same reason acupuncture could also prove effective in relieving pain; the sensory touch-points close the gate so pain sensations can’t get through. Theory contends that your brain also works to de-code the pain, and determine if you are in danger, in part by accessing your past experiences. If the brain determines the danger is imminent, then pain will result. A lack of pain can indicate that your brain has concluded that danger is not present, or that a sensation of pain could cause a more serious threat. To learn more about how Myofascial Trigger Point Therapy can manage and alleviate your pain, or to schedule an appointment, please contact me! Sufferers of chronic pain may find it surprising when they realize that, although their muscles may lie at the root of their problem, there is no medical specialty that specifically addresses muscle health. Myofascial Trigger Point Therapy helps relieve pain, stiffness and restricted motion by releasing contraction knots, a/k/a “Trigger Points”, located in muscle tissue. These contraction knots develop as a result of accidents or injuries, muscle overload, disuse or misuse of muscles, as a side effect of other physical conditions or illnesses, and much more. Oftentimes, pain is experienced in one location, yet the root of the pain lies in another. Headaches are a common example of this type of pain, known as “referred pain”. Contraction knots in the upper back and shoulders are frequently the cause of chronic headaches, and treatment of this area proves particularly effective in providing relief. Though trigger points affect active and inactive people alike, athletes of any level may find the treatment particularly effective for enhancing performance while reducing overuse injuries. For example, avid runners often experience tightness in the hamstring, which can lead to a variety of problems left untreated. Hamstrings are easily and effectively treated through Myofasical Trigger Point Therapy. Here , I treat Amy for tightness in her hamstrings. At the end of this segment, a “before and after” slide shows the increase in range of motion resulting from the treatment. During a typical session, a postural assessment will take place after a thorough history. You can view a video of me administering a postural assessment here. Range of motion testing will then follow on the targeted area, followed by treatment, and finally a post-treatment range of motion test to assess the effectiveness of the session. It is important to note that treatments are generally pain-free with most individuals reporting virtually no discomfort at all during their session.